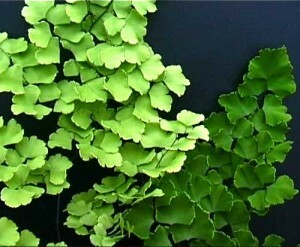 Description: ADIANTUM tenerum cv. 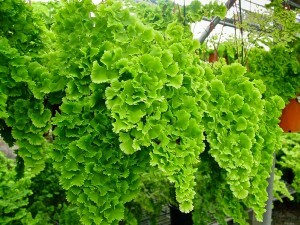 Scutum is medium sized fern growing to 60cm (23 inch) height and 60cm (23 inch) wide. It is erect, evergreen fern with many 3-pinnate fronds. The new growth is usually pale green turning green with age. It has segments more or less rhomboidal, lateral and upper margins lobed and finely toothed. Fronds become crowded by rhomboidal segments. Sori numerous along segment margins; indusia oblong. Proper Care: In spring cut off all old and discolored fronds to make way for new growth. Also in spring, repot or top dress with fresh soil mixture. Reduce watering and set plant in a cool place during the winter. Adiantum tenerum ‘Scutum’ are forest dwellers from warmer regions. This means that Adiantum tenerum ‘Scutum’ do best in loose, nutrient-rich, moisture-retaining potting medium. They do not tolerate blazing sunlight and cold feet. Through their numerous fronds, Adiantum tenerum ‘Scutum’ develop a lush mass of green that evaporates much water. The soil should therefore be slightly damp at all times, watered with soft, room temperature water. Adiantum tenerum ‘Scutum’ are from habitats where high humidity prevails which is the main reason why they often fail in rooms with heated, dry air. Light: Low to medium; indirect or filtered light. Position the Adiantum tenerum ‘Scutum’ in a light shady position, protected from sunlight. Keep out of droughts and avoid wide temperature changes. Adiantum tenerum ‘Scutum’ suits well in unobstructed north light or in filtered light of an east window. Watering: If possible use rainwater to maintain a moist soil condition. Keep soil uniformly moist but not wet. Good drainage is essential. The soil must never dry out since this will damage the root hairs. During summer the soil should be kept very moist. In winter, allow soil to become slightly dry before rewatering, but do not allow plant to wilt. Avoid overwatering. This fern like many others does not like too much water especially throughout the cooler months. Watering intervals: every 2 to 7 days depending on season. It is very important that this fern does not dry out, so water when top of soil is dry to the touch. Humidity: Adiantum tenerum ‘Scutum’ like very humid atmosphere. Spray it regularly in hot weather. It prefers humidity range of 40% to 60%. Curling and browning of new fronds may be an indication of too low humidity. Mist every 4 days. Providing indirect humidity by placing the pot on a tray with moist pebbles is a bonus for the Adiantum tenerum ‘Scutum’. Temperature: Average climate, minimum at night 13°C (55°F); will tolerate temperatures of 7°C (45°F) for short periods, thus often used as a houseplant. Optimum daytime temperature is 21°C (70°F). Prefers tepid constant temperatures through the whole year (average under 20°C (68°F)). They do not like too high a temperature, but will survive in condition of good humidity and shade. Safe temperature range for Adiantum tenerum ‘Scutum’ is from 4oC (39°F) to 40oC (104°F). 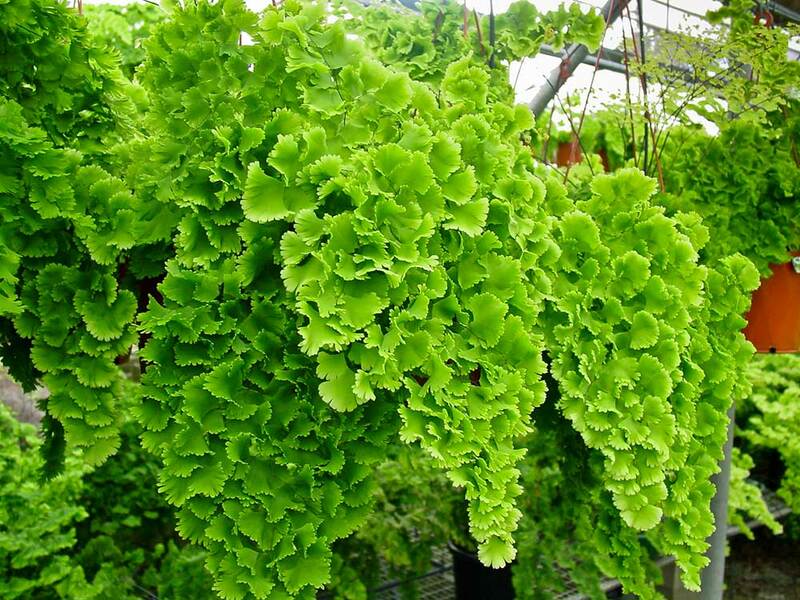 Fertilise: Feed Adiantum tenerum ‘Scutum’ only during active growth with dilute solution every 3 weeks or space applications every 4-6 months according to growth. Fertilize with half strength solution. Soil: Add peatmoss, leafmold or other humus to a houseplant mix. Sharp sand or perlite will add drainage. Adiantum tenerum ‘Scutum’ like calcium-rich soils, so add dolomite limestone or oyster shells to the mix. Potting & Reppoting: If re-potting, do not disturb the soil ball. Simply slide it into a slightly larger pot, which is well drained, and top up with new compost, to which a little crushed charcoal should be added in order to keep it wet. Completely bury the old soil. Uses: Suitable for indoors, bush-house or shaded garden position. When small, these ferns are best used in terrariums. Being a medium height plant, the pot of Adiantum tenerum ‘Scutum’ will look great when placed on a table. Also, ideal conditions for Adiantum tenerum ‘Scutum’ are bathrooms, or a damp, humid flower window. Wilting fronds: Increase humidity by spraying and by improving environment. Ferns prefer a moist atmosphere in a light shade. Wilting fronds and yellowing leaves: Stop feeding. If the soil is dry, water generously with soft water but good drainage must exist. Brown scorched leaflets: Take the plant out of the sunlight which probably caused the complaint. Cut off badly affected fronds close to their bases. Maidenhair ferns can be damaged by some insect sprays.